Less than a week before the European Championships in Herning (17 – 21 October) team of Germany is finalizing their preparations in training center. 13 athletes, six women and seven men will travel to Denmark to compete at the Continental Championships which is shorter than usual. The team competition is held only every two years, therefore, this year it will be only held for the title in singles and doubles. The format is new, but German thirst for titles is same as ever and they are big favorites as it was the case in past few years. 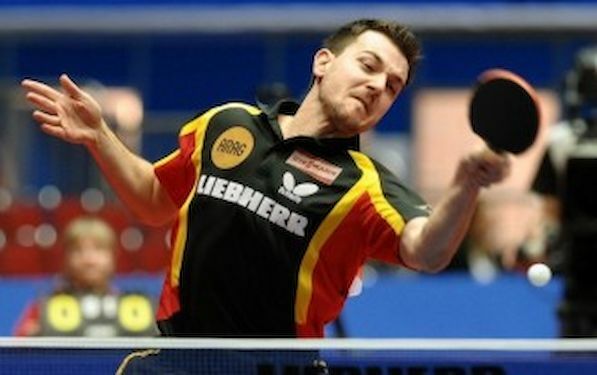 Timo BOLL aiming his sixth singles title, 16th overall at the European Championships. The man who will be greatest threat on his way to the throne is his teammate Dimitrij OVTCHAROV. The player who clinched two bronze medals at the Olympic Games in London is BOLL’s biggest challenger. Very dangerous for the rest of the European competitors are also German champion Bastian STEGER, as well as two times silver medalist Patrick BAUM. Women’s team is also very ambitious. Irene IVANCAN knows how to win the medal at the European Championships, as she did in Gdansk and Sopot. The German champion, WU Jiaduo is seeded at position no. two in Herning behind the Spaniard SHEN Yanfei. In 2009 “Dudu” won European singles title. “This was special year for us, with two important highlights and we succeeded in both. European championships is not our main task. From the experience we know how hard is to sustain form at high level for a long time. However we are not travelling to Denmark just for sake of traveling. We want to be successful,” said DTTB sporting director Dirk SCHIMMELPFENNIG. Only Dimitrij OVTCHAROV will play in doubles, but everybody is ready to fight in singles. “It will be hard to repeat the success from the previous years after World Championships that we had in Germany and Olympic Games in London, but the team is well prepared, has trained well, and the players are aware that they always has to present themselves in best light”, said coach Jorg ROSSKOPF.